Nigel Daly Design is an Architectural Design Consultancy that offers a comprehensive design service for buildings, their interiors and landscape settings. We specialise in the sympathetic re planning, extending and regenerating of historic houses. Our schemes accept the need for daring change and spatial reorganisation if old buildings are to be brought back to vibrant life. At the same time our long experience, detailed knowledge and love of period structures provides the context in which our proposals are formulated. Our aim is to preserve the essence of the original building for the future by making it relevant to contemporary use. 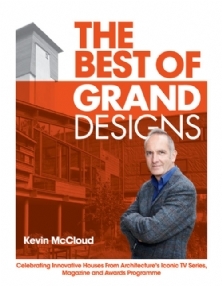 THE BEST OF GRAND DESIGNS celebrates fourteen glorious years of film making, 100 editions of Grand Design Magazine, 100 seperate programmes and 10 years of hosting the Stirling Prize. The book includes a Nigel Daly Design entry with detailed descriptions and images of Bletchley Manor.